Somewhere in its sixty second expanse, during the minute of 1:23am this morning, I turned thirty-four years old. The 1-2-3 of the time of my birth has always satisfied me. It makes it seem like things started orderly, even if they didn’t stay that way. I know I was born at 1:23am not only because my mother distinctly remembers the time that she ceased feeling like an alien life-force was trying to colonise her from the inside out, but also because, as a child of the 80s, (the first year of that decade no less), I have one of those blue and white wall plates with a stork holding a baby bundle in its beak that gives me some vital stats. The plate says 1:23 and you can’t argue with a plate; it’s inanimate – it’s not worth it. The plate also says I weighed 7 pounds 11 ounces, but those numbers don’t please me as much as 1-2-3. 7-11 sounds like an extremist bombing or a defunct convenience shop, not an orderly birth. I have lived at the following house numbers during my life: 99, 20, 12, 104, 60, 20, 58, 40, 26, 60, and now 77 so I definitely favour round even numbers, at times even repeating them. It might be worth noting I started my life odd and have returned there. But it also probably might not. I have lots of other numbers. Most of them dull. I can recite my national insurance number which I’m somewhat prouder of than my lazy girl’s 2:2 from uni. I don’t know what I weigh because I prefer to maintain a consistent level of self-loathing about my body irrespective of weight fluctuations, but my height is 5′ 7″ and rarely changes. Something constant at least. I have 8 fingers, two thumbs, ten toes. Two arms, two legs. One head. Internally it’s anyone’s guess, but I’m hoping it’s all alarmingly average in there. The normal number of everything. Lucky. For now. Who knows what might drop off or fall out. And that’s it isn’t it? Who knows? Numbers are the things we know, and the things we do not know. The charted facts versus predictions. 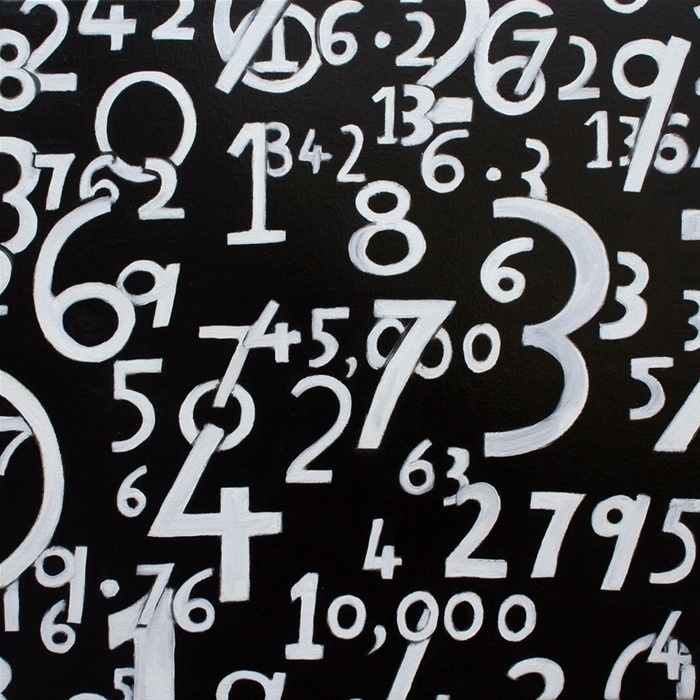 Numbers are what are, and what’s been, but they are not what will be. Not yet. The most gifted freaky mathematicians in the world can often predict things no better than Mystic Meg. I am 34 today. An even and nicely sequential number. 3-4. What fraction of my years will that turn out to be. Half? Two thirds? Seven eighths? My house number might change. My weight, definitely. My height may lessen as I, with the grace of extra time, shrink. As my figure depletes, as my digits crack, my numbers wind down to zero. Ward number. Bed number. Plot number. Dates on stone. 1:23, 16-06-1980 to … What? The hour, the minute, the second that my numbers stop. And that, while sobering for a moment or two, or five or fifty, is the only fact you need to know to make yourself seize a happy day. I know what I’m doing today, I’m meeting my mummy for lunch. Two bagels, two teas, nice and even. But I don’t know what will happen. And there’s a certain sense in that too. Happy Birthday, lady! I popped out on January 11th so naturally 11’s and 1’s are my jam. Also I just want to let you know, I enjoy all of your writings very much. You are so good at the ol’ word thing. Keep doing it all the time, please. Your public demands it!